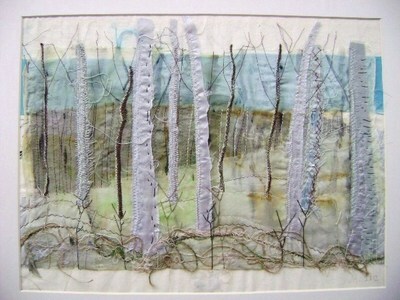 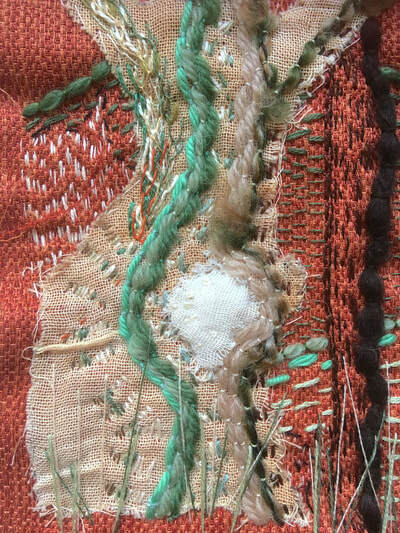 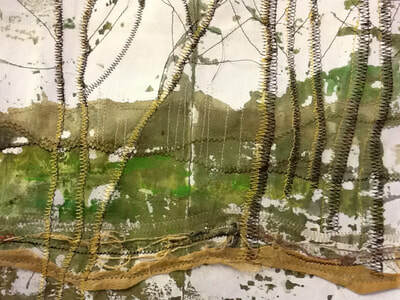 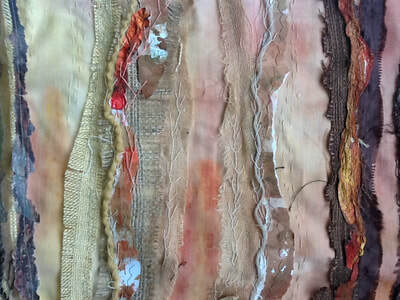 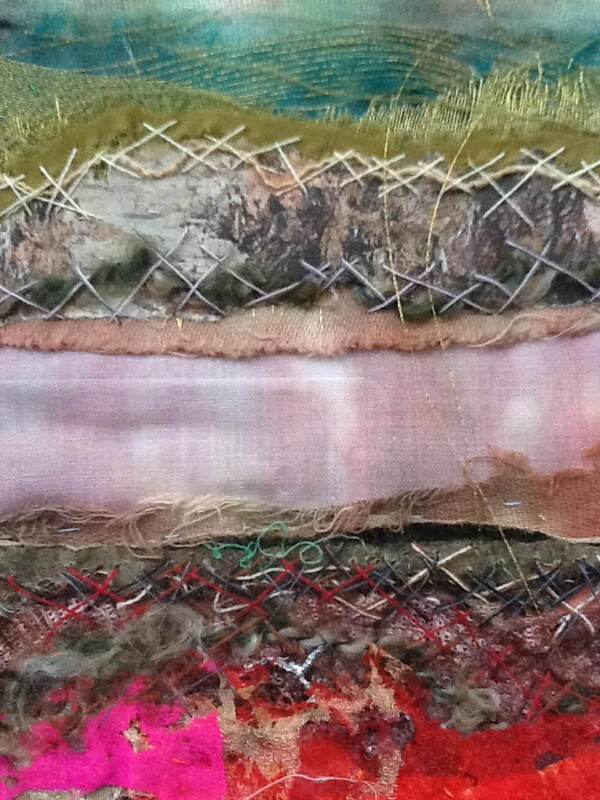 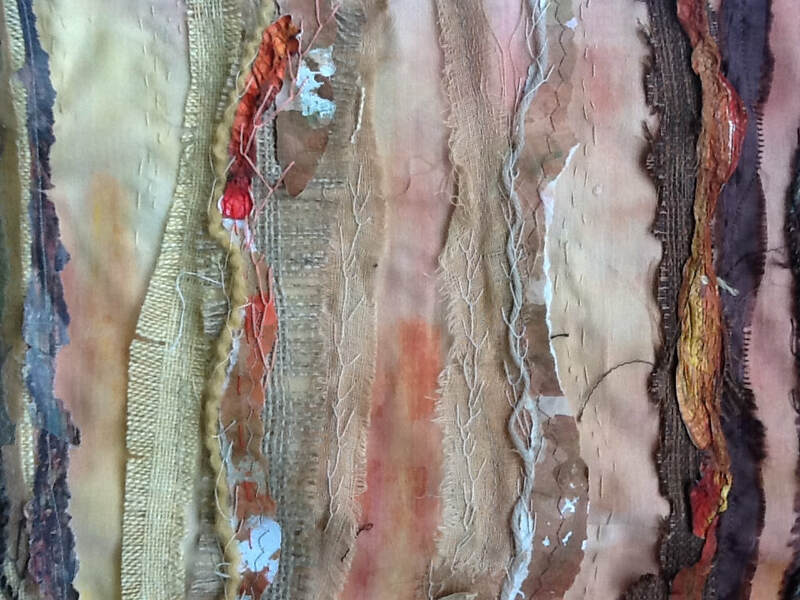 This work is a series of textile landscapes on the theme of trees, inspired by trips to Spain and locally in Sussex. 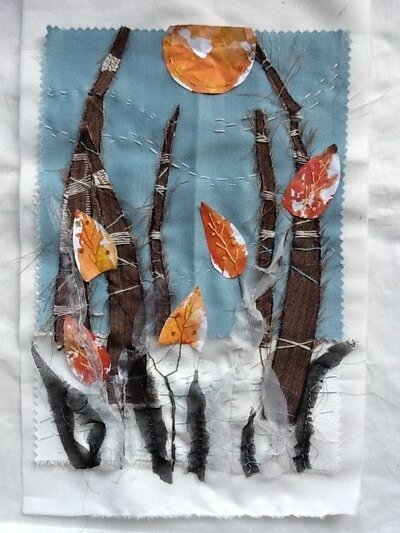 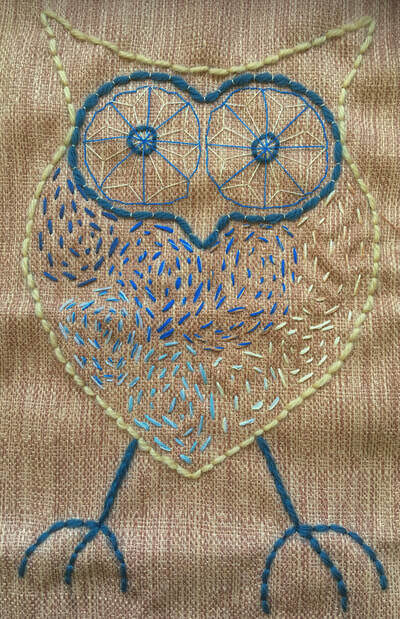 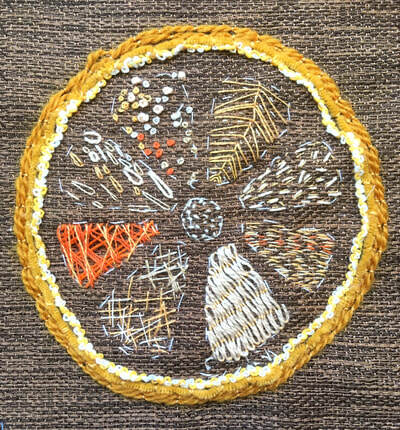 The original pieces are created using mixed media including print, stitch and applique. My work is influenced by my surrounding landscape, in particular reflecting the change of the seasons; these pieces often have a nostalgic feel to them. 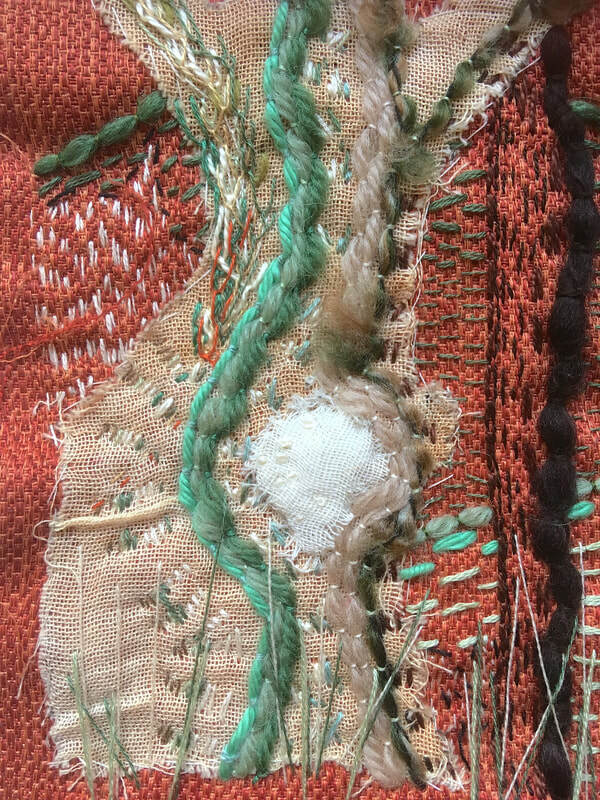 A series of projects inspired by stitch experiments investigating line, colour and weight of thread, fabric and stitch.